Who is it for? 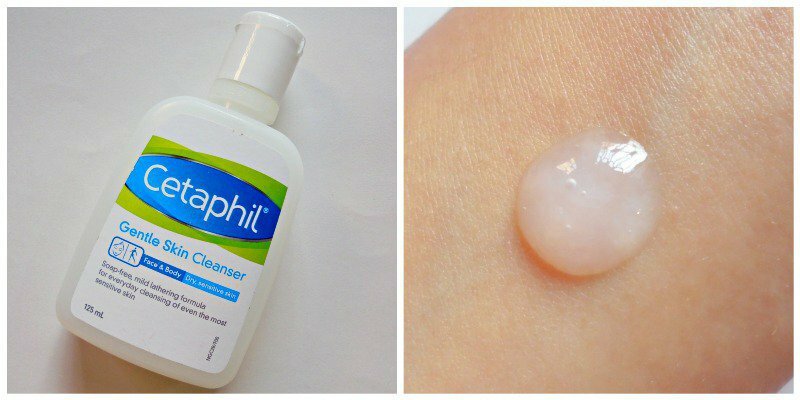 Cetaphil Gentle Skin Cleanser is a foam-free moisturizing cleanser for dry and dehydrated skin. Its formula is extremely gentle. This kind of cleanser would show great results on sensitive, easily irritated skin. Take the desired amount of product on the palm and massage gently on the skin with fingertips. Rinse with water and pat dry with soft towel. To use without water, cleanse with soft tissue or cotton pad. No. It is specially made for sensitive skin. This cleanser comes in a white bottle with a flip top cap. The quality of the packaging is good, fuss-free and spill-proof. The cleanser is translucent liquid. It is completely colorant free. It has fluid consistency. It does not foam at all so it does not feel like I am applying a cleanser on my skin. It creates a thin film of moisturizer on the skin to prevent dryness. So, I don’t even need to moisturize if the weather is not dry. The main ingredient of this product is Cetyl alcohol which is a skin-friendly emollient for all skin types. It is a fragrance-free product. Currently, I am on acne medication for my persistent hormonal acne due to PCOS. My acne face cleanser is quite drying so it can’t be used two times a day. I am using this face cleanser at night. This gentle cleanser does not make my skin all dry and stretchy plus it removes light BB cream and sunscreen. It is a moisturizing cleanser but does not clog pores. So, I don’t have to fear about new acne breakouts. This wash can be used without water which I find great on my lazy days! What do I like about this face cleanser? What I dislike about this face cleanser? Yes. I would buy it again for sure. I would recommend to those who have dry to extremely dry skin and combination skin (for dry winters).